His debut novel (and apotheosis), Magician is the epitome of more traditional fantasy - done well. Feist's flair lies in his portrayal of the world reached through the rift: the Tsurani are sensibly-motivated, cultured, and their politics are fascinating - in other words, Feist doesn't succumb (at all) to that fantasy stereotype of the barbaric "other" world/culture. Though not lacking its share of stereotypes, Magician weaves a fascinating tale of life and politics between two worlds, sometimes simultaneously. Genius. 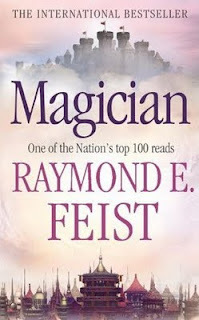 Although Feist's books decline in quality from this point, Magician is classic fantasy. Set in Osten Ard, Williams' own take on a fantastical Europe, The Dragonbone Chair is a perfect example of a "soft" magic system done well. Utilising some of the principals of alchemy, Williams' system works incredibly well in context. His characters, meanwhile, subvert some of fantasy's central stereotypes in a novel that is anything but light-hearted - although slow to start, the sense of impending cataclysm is inimitable, and the underlying motifs subtle and understated. Although To Green Angel Tower's ending may disappoint, Osten Ard is a world you cannot help but fall into. His well-developed characters, meanwhile, possess - in addition to plot -, the sense of out-of-screen activity that most other writers would be hard-put to match. 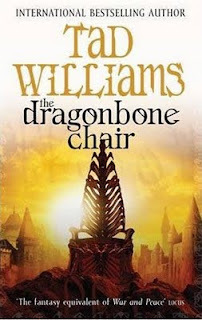 There are few plot flaws; Williams' characters stray naturally from the path, creating a tale that is lovable and realistic, rather than the more calculated fare that dominated fantasy at the time The Dragonbone Chair was published. As I mentioned on my own list, The Dragonbone Chair, despite its plodding pace and slow start, is a defining work of Epic Fantasy. Magician just barely missed making my list. Looking forward to seeing the continuation of your list. Thanks! I stumbled over here through my blog stats, and then recognized your name from the comments on my posts. It looks like you're off to a great start and I've already started following you through my RSS reader. I do have to say Feist is great. I loved Magicians Apprentice then Master. His character creation is just amazing. The characters have so much depth to them, they are people other than just the 1 dimensional character. His world is amazingly set in place and I feel spelled out for you to see very easily, and the map always helps me as well. I read up to Shards of a Broken Crown. I loved the Rift Wars and enjoyed the books of the children and their children. I didn't seem to care as much for the Serpentwar Saga, but got through them just as well. I wanted to keep going with his series but I got sidetracked with other books. I do plan on getting back to them here some day. Now, I have not read the books in Tsurani yet either. I have hear of Tad Williams but not of this book. I have hear good things of him as well. Well, I actually prefer the Tsurani-setting novels - but the Darkwar isn't nearly so good, in my opinion. It really suffers from too short a writing period, I believe - looking at the rate at which they appear. The characters don't have nearly so much depth, or the cultures the less stereotypical impression of the first few novels. But that's just me! I have heard Tsurani novels are very good. I skipped them because I wanted to carry on with the characters and world I was very familiar with. I will have to go back and pick these up as well. I have not made it to the Darkwar Saga yet, but I will keep this in mind. I look forward to the Conclave of Shadows. I was going to skip the legacy ones for now to get to the next series, but eventually go back to them.